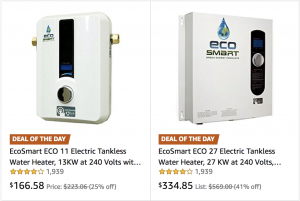 Amazon has a couple ofEcoSmart ECO Tankless Water Heaters on Gold Box today – as much as 41% off! Unlimited hot water! No huge tanks hogging your laundry room.